Angelina Ballerina is the world's best-loved ballet dancing mouse! She is published in Puffin, Ladybird, and Funfax, and her animated adventures appear on TV channels around the world. Even very little girls love to dress up and dance, and they dream of learning ballet. In this very-first ballet book, Angelina appeals to these dreams. She tells the young reader all about ballet class, including what a ballet student wears, how to tie your hair like a ballerina, simple steps and dances to try, and the end-of-term show, where everyone becomes star for a night! Irresistibly pretty, inspiring and fun, just like the "Angelina Ballerina" storybooks and award-winning animations. 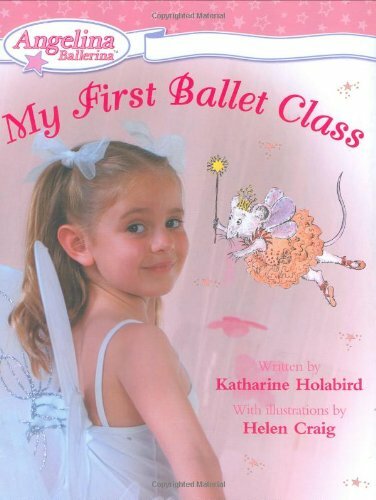 It includes DK how-to photos of young ballet students (aged up to 6 years), from the Central School of Ballet, plus Angelina story book art. The bright, clear design makes the book simple and fun to use.